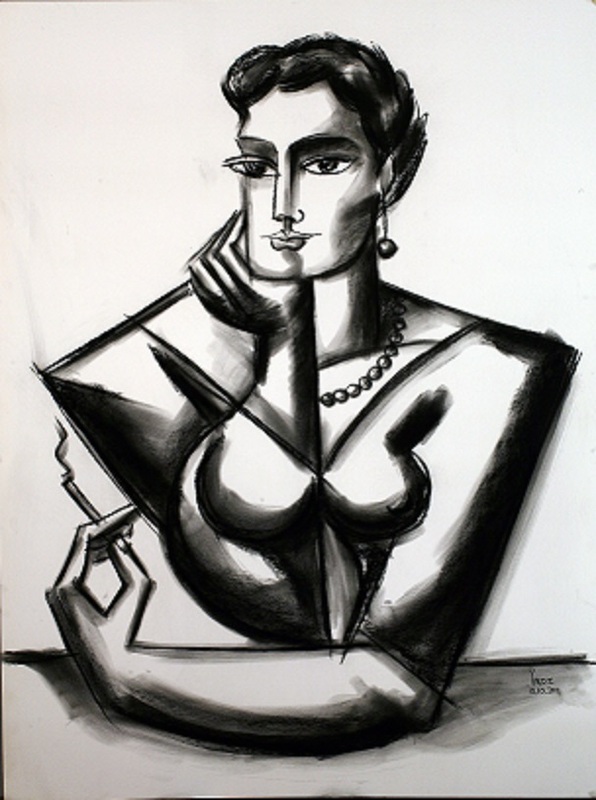 “Woman with Pearls” has been an icon of femininity, elegance and poise in Yuroz’s art during the last decade. 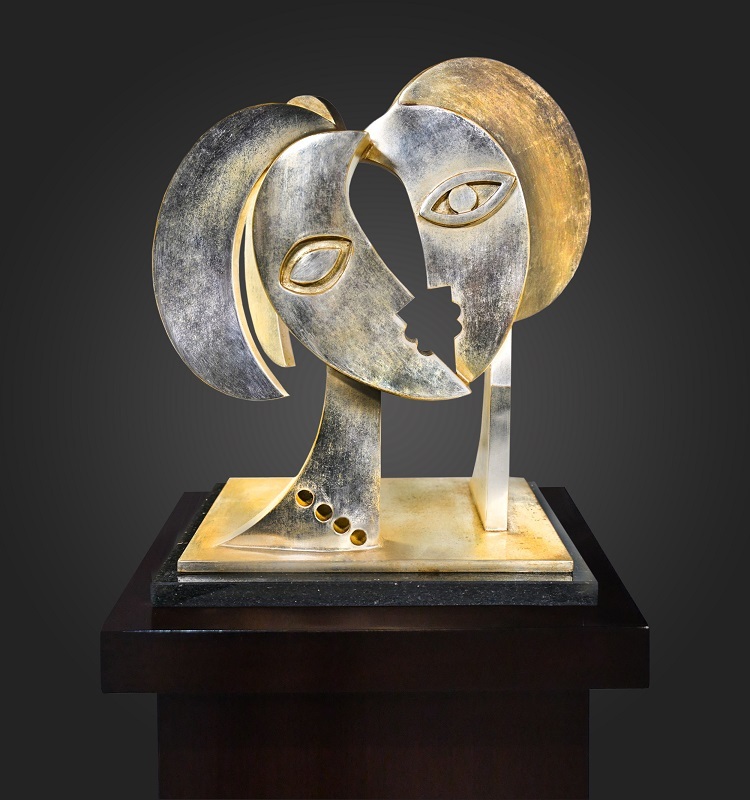 With the recent limited release of the “Woman with Pearls” sculpture, we want to share a curated collection of retrospectives of Yuroz’s work, highlighting the different facets of his representation. Just like Venus, the goddess of love, pearls don’t arise from the depths of the earth but from the sea. They are usually round, flawlessly white with lustrous beauty that requires no special cutting or polishing. Pearls were used in jewelry as far back as ancient Greece. The rules of the Byzantine empire dictated that only the emperor was allowed to wear pearls, while other societies only allow certain classes to wear these gems. Until the 20th century, pearls were one of the most valued treasures, a symbol of imperial authority, prosperity and vanity. 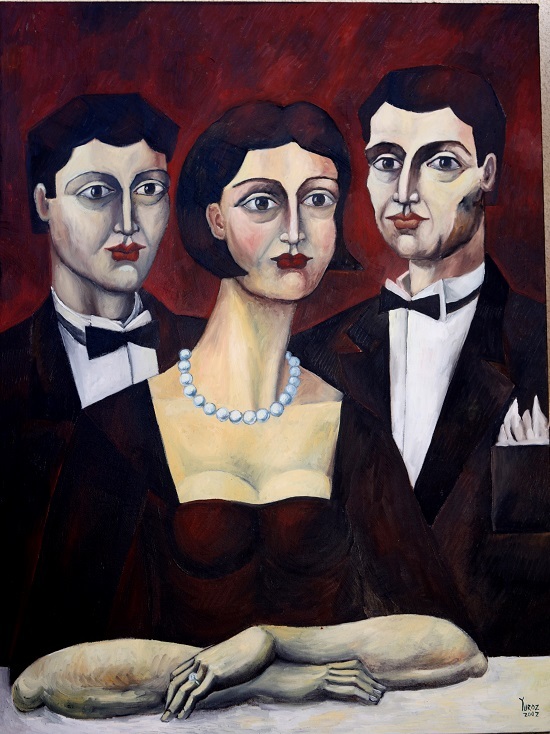 In many works of art by Yuroz, women are often the focal points, revered and admired by the man (men) in the background who are most subdued by their purity and gentility. Yuroz’s women with pearls at times symbolize wealth, status and taste in an age of splendor while others represent perfection and completeness in esteem. 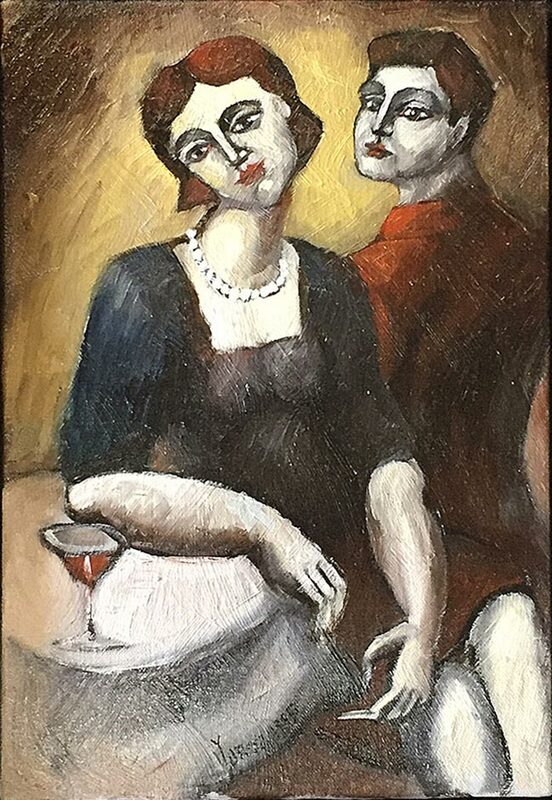 Were these women with pearls just out showing off their prowess for life, enjoying their solitude while marveling their admirers on purpose, and bathing in their gapes with casual indifference? These pearl-adorned females exude their genteel elegance, leaving their suitors intrigued and at times spellbound. While the advent of cultured pearls popularizes this gem, the romanticism carries on. By simply “seeding” a living oyster with a small nucleus, much like a man planting a seed of love into the heart of a woman, a pearl is formed around the nucleus in the soft tissue of shelled mollusks. The pearl is the “heart of the oyster”. 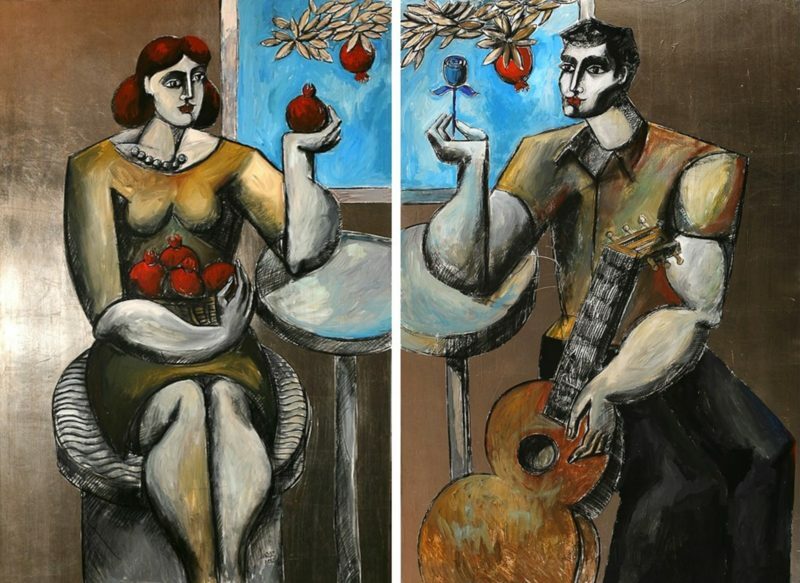 “Dance with Pomegranates” is a known composition to collectors of Yuroz’s work. It represents two connected souls in their celebration of their perpetual cycle of love. In the above composition, Yuroz underscores the female power by adorning his heroine with the lustrous pearls. 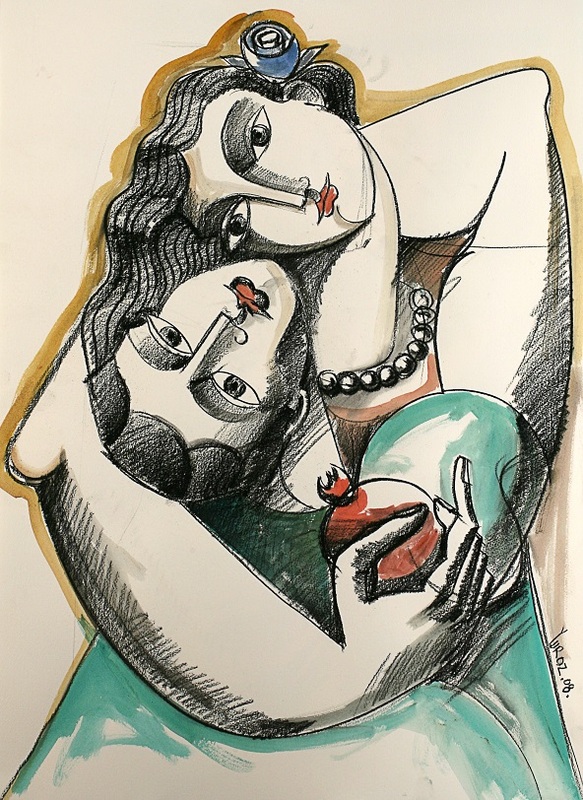 In both “Dance with Pomegranates” and “Embrace with Pearls”, the female offers her fertile strength, connecting her feminine delicacy to the tapestry of her lover’s dreams. Whether offered in romance or taken in victory, worn as a symbol of chastity or a mystical aphrodisiac, pearls have been and continue to be among the most coveted gems in the world, much like the woman in red that captivated her man in “Sharing His Rose with Woman in Pearls”. 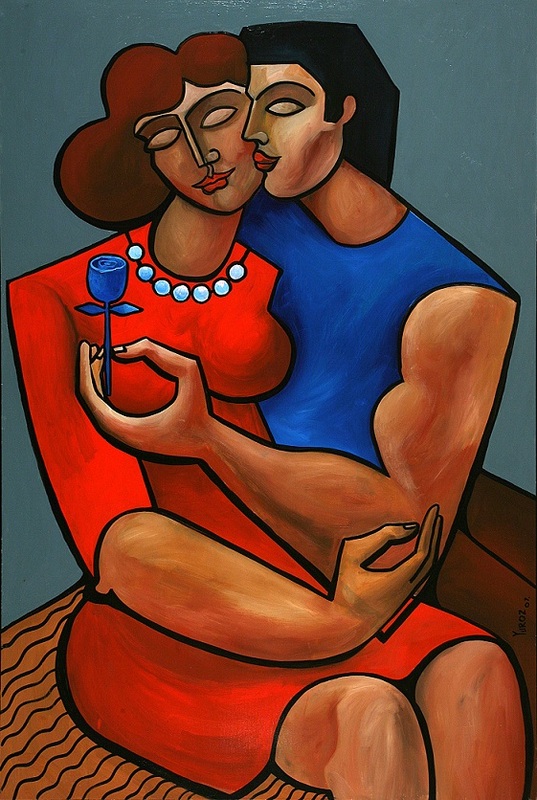 There, the artist highlighted the pearl’s iridescent luminosity, as the man shares his love with his woman with pearls. 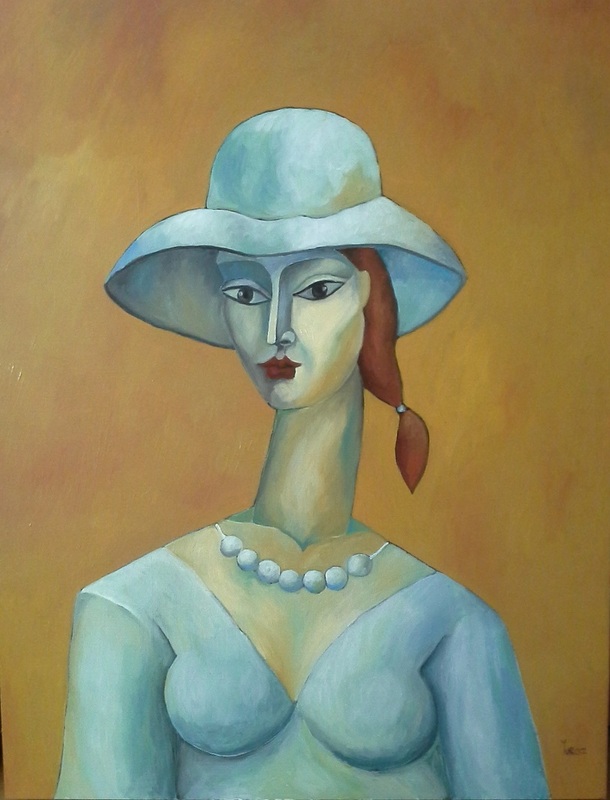 Yuroz’s women with pearls can be enigmatic but always with a composed balance. In “Lady with Pearls”, Yuroz presents her luminous splendor with a touch of playfulness, connecting the hot and cold color palettes to tell her story. 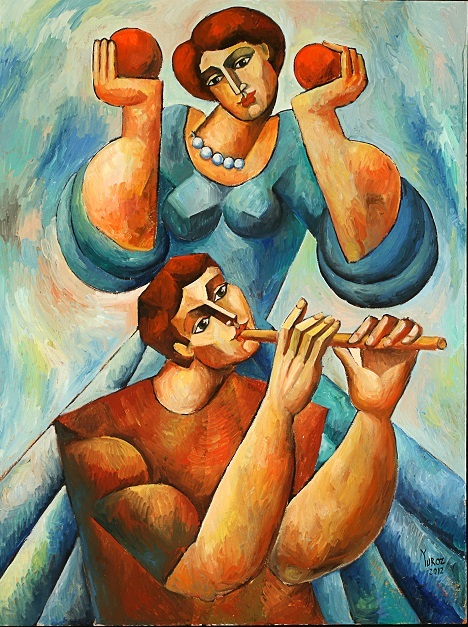 Whereas in “Harmony of Two Melodies” and in the latest limited sculpture release, “Woman with Pearls”, Yuroz represents his women’s melodies in parity. 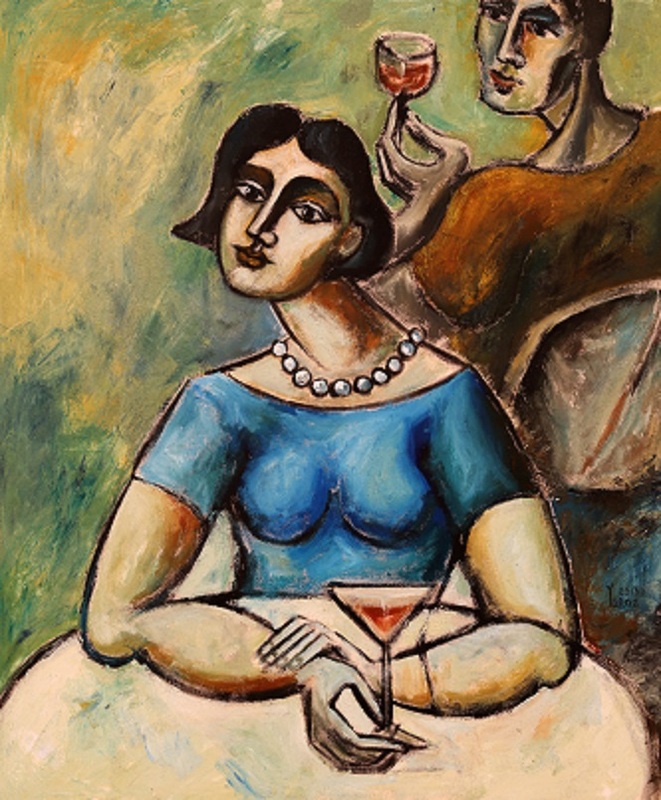 As we study Yuroz’s women with pearls, we can’t help but heedlessly connect with her realistic pragmatic and rational sensibility or her meditative romantic and idealist sensuality. The fortitude of women, their courageous mental and emotional strength in facing difficulty, adversity, danger, or temptation, is one of the virtues Yuroz underscores in his symbolism when embellishing his women with pearls. 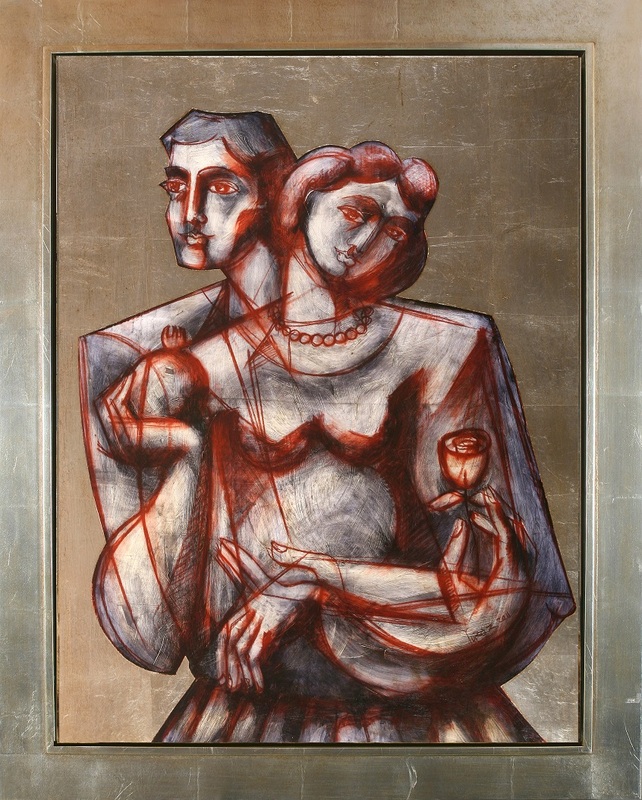 As the relationship deepens between the man and his woman with pearls, the couple is represented as partners on a journey of growth. They gift each other with kinship, understanding and love. They preserve and protect each other while being trusting enough to bestow each other the freedom to pursue their dreams. Yuroz’s women with pearls are wise and self assured. 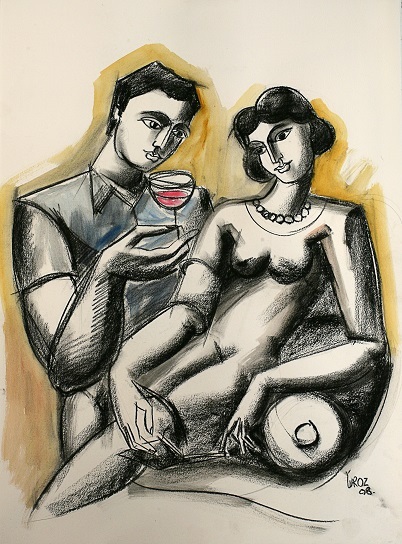 At peace with themselves and with each other, the couple gleefully await what life has in store. 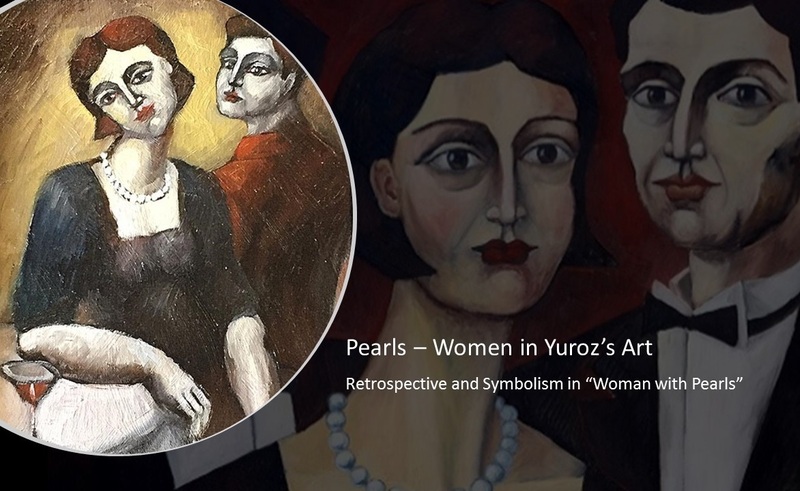 For more information in this “Pearls – Women in Yuroz’s Art Collection”, contact us Here. To read Part 1 of 3 for “Women in Yuroz’s Art”, go Here. This entry was posted in Collections and tagged Portraits of woman with pearls, Woman in Yuroz Art, Woman with Pearls, Yuroz.